NearIT has been integrated in the official app to send geolocalized notifications and for a gaming experience through the beacons interaction. 2100 interactions has been recorded on the first day and 1750 on the second: a total amount of 3850 interactions. Once the downloaded app is opened for the first time, the onboarding asks users to give the permissions necessary for proximity marketing to work. The same app was also delivering information about the contest that was taking place during the event. Let’s now have a look more in depth about to the main features of the app and to the benefits for the users as well as for the coordinating staff. A geofence centered on the Lingotto building (where the convention was taking place) with a 1Km range allowed to reach all the app users when they were entering or leaving the area. Therefore, once they were entering the convention centre they received a welcome notification with a different content on each day. In the same way, when they were leaving the area they received a goodbye message. Thanks to the presence of this geofence it was possible to track how many of the app users visualized the welcome message at any time interval. Together with the Droidcon team we decided to place beacons at each entrance of the rooms where the speeches took place. With these beacons it was possible to send informative contextual notifications about the current speeches in the rooms to attendees with the app in foreground that were passing by. Once users received these notifications they could decide to tap it to read the additional information about the speech. We sent a total of 220 contextual notifications, 10% of which generated interest in the attendee. We want to highlight that it was deliberately chosen not to profile users. 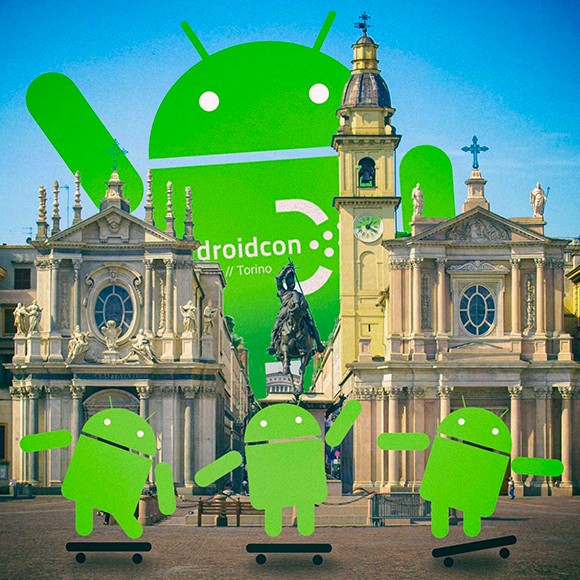 This choice was mostly driven by the fact that Droidcon Italy is an extremely sectorial event for Android developers and thus attendees had very similar profiles and interests. Profiling users would have been redundant and non functional, given that all attendees had a clear interest in receiving information about what was happening around them. Users entering in the convention area were invited to do a “check-in” at all the sponsors’ stands to enter in the Droidcon contest. By placing their smartphone with the Droidcon app in foreground close the 11 beacons on the stands, attendees entered the contest to win an exclusive gadget. This was a very simple but fun idea that succeeded in engaging attendees (we registered more than 700 check-ins!) with a gamification experience and with the promise of a final exclusive prize. Which advantages for the Event manager with NearIT? 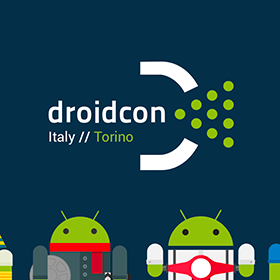 Integrating the official Droidcon app with NearIT led to several benefits, first of all concerning the analytics. Let’s thus dive into the benefits of each proximity activities. NearIT allowed to monitor and count how many people received welcome and goodbye notifications and also how many people tapped on these notifications. We could get clear data and statistics for each of the 4 recipes planned (two different welcome and goodbye notifications). With this information the event coordinators were able to clearly monitor in and out flows in proximity of the location. It was also possible to have data on the number of check-ins at each stand, making it possible to evaluate the most “popular” stands. This information was extremely interesting for the event coordinators who could understand the areas with more visitors and the ones with less visitors, maybe because less accessible to attendees. The informative notifications provided interesting information as well. They could tell in fact how many people saw the notifications and how many tapped to see the additional material. As a consequence, the staff could see which speeches proved more interesting for the attendees. Droidcon clearly showed how an easy and intuitive platform such as NearIT could be wisely used to increase the engagement at events. We tracked 2100 interactions on the first day and 1750 on the second day for a total of 3850 interactions with attendees. These numbers are a cristal clear proof that similar experiences can have a great impact in this type of context.